At last, it is starting to feel a little like Autumn. The mornings are cold and the days are not so hot. It’s been a crazy Autumn so far. Hot and dry. Around these parts, most people light their fires by ANZAC day (April 25) or even earlier. This year we still have not lit ours (though to be honest I will probably do it tonight). For me, Autumn is all about harvesting the fruits and vegetables that have been growing all summer and preserving them for the year ahead. It’s full of pickling, freezing, and drying. As the nights begin to close in, we crave warm, filling, comfort food. It’s then that I bring out a dessert like this pudding on a Saturday or Sunday night. A sweet treat to enjoy after a week of hard work. Our old fig tree, planted by C’s great-grandfather, is still bearing fruit 120 years later. 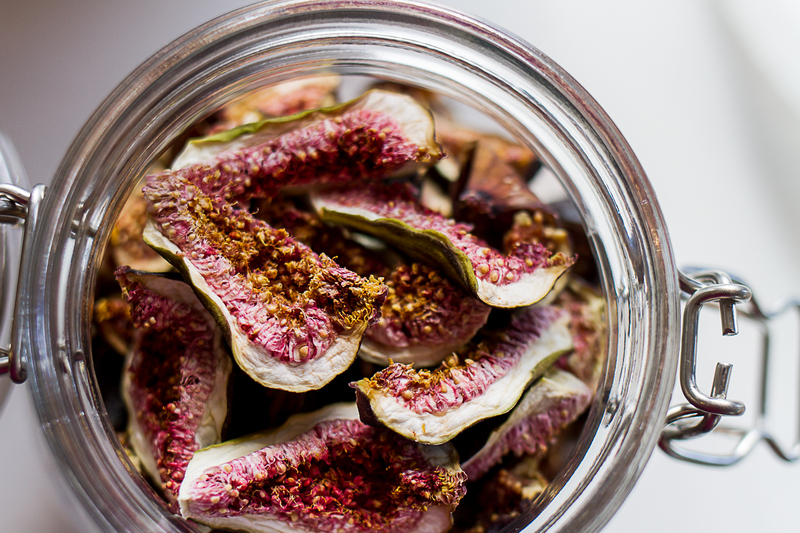 During the fruiting season, we pick more figs than we can possibly eat, so I have taken to drying them in my dehydrator and then store them in jars in the pantry ready to make this delicious pudding. I love it because it is super easy to make – no beating butter and sugar and makes very little mess or washing up. In fact, if you’re super lazy (or efficient) like I am, you can mix this whole thing up in the saucepan you cook the figs and date in. Place the dates, figs, and water into a saucepan and bring to the boil. Once boiling, turn off, sprinkle the bicarb soda over the water and allow to sit for 10 minutes. Use a hand held stick blender to puree the dates and figs. If you don't have one, you could mash them with a fork until they break down a little. Add in the butter, brown sugar, eggs and vanilla and stir until combined. Stir through the self-raising flour until evenly mixed. Grease a 20cm square baking tin, or 8 small ramekins. Bake for 50 minutes (less for the ramekins - approx 30 minutes) or until a skewer comes out clean when pushed into the centre. Combine ingredients together in a saucepan and bring to the boil. You can also put the pudding mixture into a couple of smaller cake tins, or even a dozen muffin pans and just cook for a shorter time. Delicious served with a dollop of cream or ice cream as well! Do you love an Autumn dessert? This looks delicious. 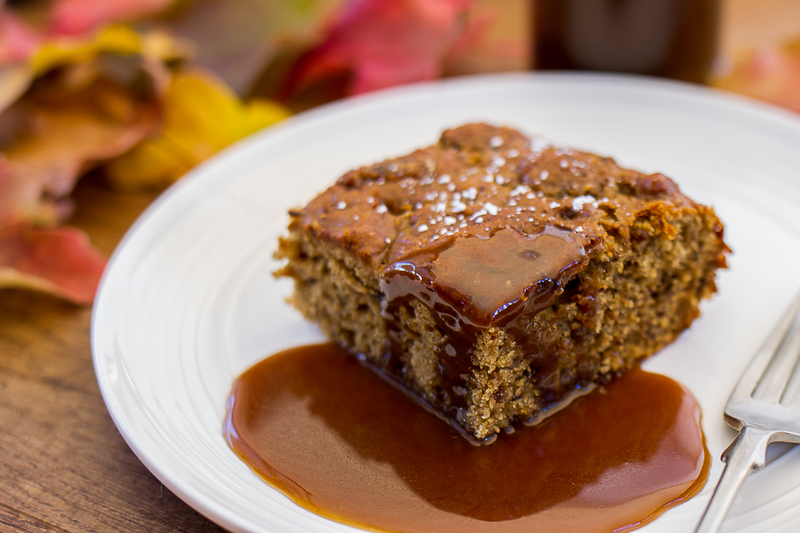 I just love this fig and date pudding with butterscotch sauce. Thanks for sharing this amazing recipe. I just love it.